Though PS3 games and regular controllers won't work with the PlayStation 4, Sony's next console will support the PlayStation Move. It's not terribly surprising given that the next PlayStation won't be backwards compatible, but Sony has officially confirmed that along with your PS3 games, DualShock 3 controllers will not work with the PS4. Sony Worldwide Studios President Shuhei Yoshida confirmed the news at a roundtable discussion after Wednesday's PS4 reveal, stating that the console "doesn't support DualShock 3." 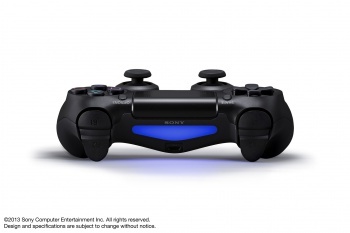 You won't have to ditch all of your old controllers, though; the Move motion controller will work with the PS4. LittleBigPlanet developer Media Molecule implied this functionality when it used a Move controller onstage during the PlayStation Meeting, though not to show off a game. Sony's updated DualShock 4 has features not used in the previous iteration, such as a touchpad and Share button, so it makes sense that games designed for the PS4 wouldn't be able to work with the older controller. With your PSN games also not transferring to the PlayStation 4, you might just want to hang onto those controllers--and your PS3--in case you ever want to play your downloadable games again.